The ladies of the group have been working on the Last Supper display for the last few months. 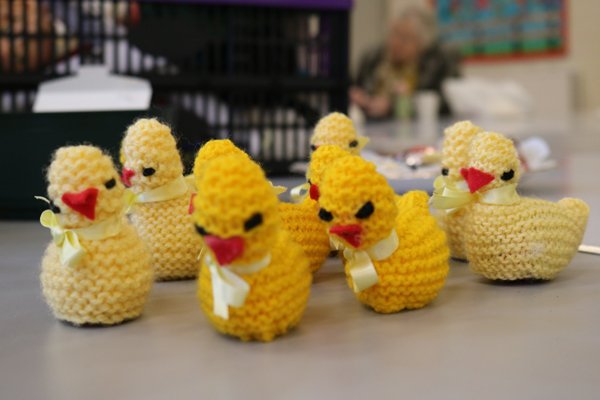 They have also knit colourful Easter chicks which will be filled with cream eggs and distributed to the housebound over the Easter period. 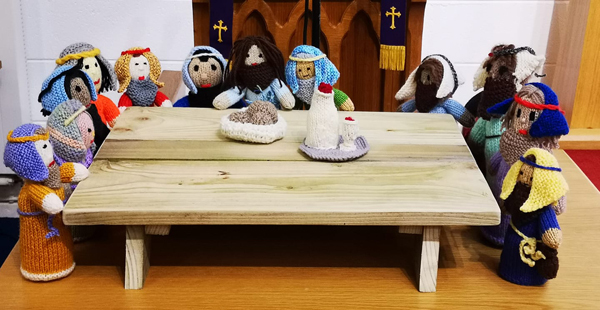 The Last Supper project follows on from the group’s Christmas ‘Knitivity’– a totally knitted Nativity scene. 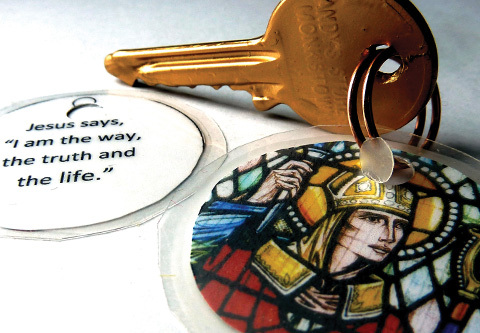 The Tuesday Crafters’ group was established in St Mark’s Parish Hall last September – you can read more about this very talented craft group in the June issue of the diocesan magazine Connor Connections.